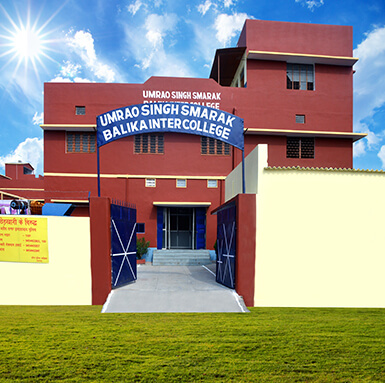 Umrao Singh Smarak Balika Inter College is a girls’ college recognized by the Madhyamik Shiksha Parishad Uttar Pradesh. It was founded on 8th September 1968 by Mrs. Sushila Devi, lovingly called as ‘Mother’. She had established the school in the memory of her husband Col. Umrao Singh with a moto ’To serve through education’. ‘Mother ‘was a woman of great vision. She established the school with a vision to provide the best education, especially to the girls of the society irrespective of their economic status. The school became Junior High School in 1971. By 1996 it became the Intermediate College. Today School is managed by the Roman Catholic Diocese of Mumfordganj, Prayagraj.